B2B marketers have many tools at their disposal. Here are some of the best ways to attract B2B customers in an increasingly competitive environment. Search engine optimization (SEO) is the process of improving your search engine rankings for targeted keywords. This involves creating content that contains specific keywords, especially longtail keywords, that will attract your customers. Intensive keyword research is an important first step in the SEO process. You may also want to guest write blog posts on other websites, in order to earn backlinks to your website. Search engine marketing (SEM) is the paid counterpart to SEO. You target keywords and pay to appear at the top of search engine results for those terms. This pay-per-click (PPC) model means you will only spend money if someone clicks on your ad. This is a great way to drive traffic to your website efficiently and affordably. Content marketing goes hand in hand with SEO. Creating great content is the best way to position your company as a thought leader in your industry. Content can come in many forms, from white papers and ebooks to blogs and infographics. No matter what form your content takes, it should be a free way to show off your expertise to current and potential customers. It also helps boost your search engine rankings, through the use of targeted keywords. Single Grain is a digital marketing agency with effective B2B content marketing. They have a popular blog, as well as an industry podcast that is well known among its target audience. They also have resources on their website with infographics, webinars and other informative content to demonstrate their expertise in the field. Email marketing is one of the oldest digital marketing tactics available, but it is also one of the most effective. Reaching out to customers via email allows you to talk to them directly and establish a one-on-one connection with each person. Customize your emails based on your customer segments, so they get the most personalized experience possible. Asana is a project management software that effectively uses email marketing. The simple yet beautiful email asks users what they would like to get done that day. This helps break down their complicated software into easy to understand solutions. Webinars can help you inform customers about important topics related to your products or services. These are affordable ways to show off your knowledge to existing and future customers. You can host webinars on a regular basis to build trust with your customer base. Trade show events are industry gatherings where you can promote your brand. Having well-designed trade show materials and the booth is key for a successful trade show event. These are great opportunities to connect one-on-one and face-to-face with current and potential customers. 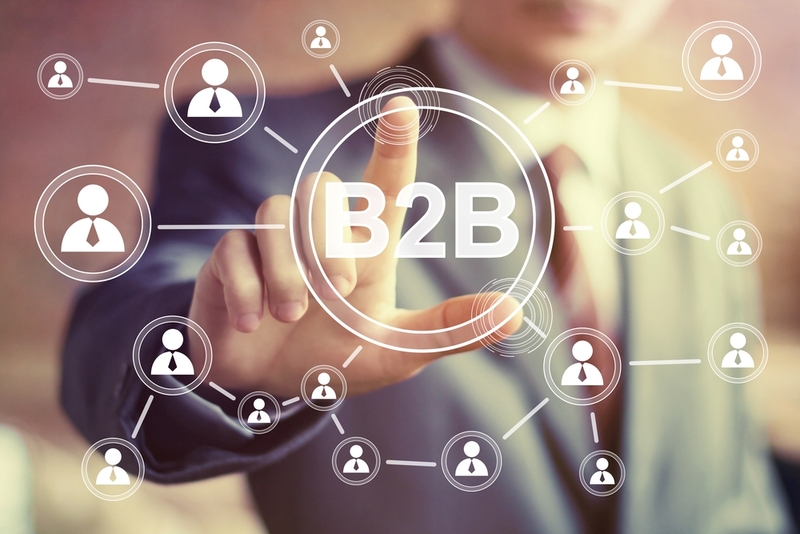 Need help developing your B2B marketing tactics? The Borenstein Group, Top DC marketing agency, is here to assist. Get in touch with us today for all of your branding, website, and marketing needs.